Street artist Glen Molloy has no illusions about the reality of his craft. Working in the open air (as he does in almost all circumstances) means battling Northern Ireland’s notoriously inclement weather, something which is far from conducive to optimising one’s artistic inspiration. ‘If you’re in this for yourself, for the glory and the glamour – because street art is very en vogue at the minute – you’re going to be very disappointed,’ he says, recalling the fact the he has spent a good deal of the last few weeks grafting in the snow. 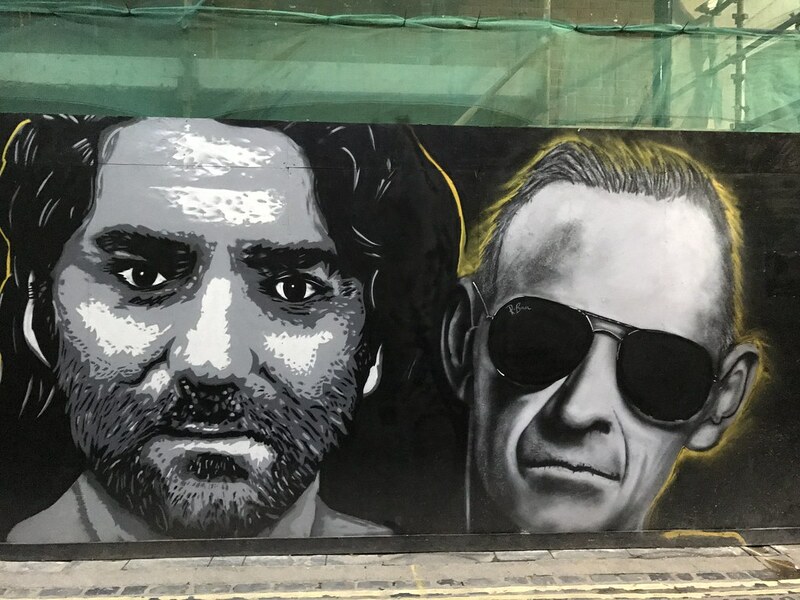 Though recognition has come his way relatively recently, he boasts murals focusing on a range of subjects in an impressive back catalogue: martial arts legend Bruce Lee; MMA superstar Conor McGregor; any number of Game of Thrones characters; and more specific socially conscious images highlighting the dangers of alcohol and drugs. His work has even been featured on the BBC and in Reuters, Agence France-Presse and The Economist. This article has been published ahead of Creativity Month 2018, themed around 'careers in the creative industries'. Follow Creativity NI on Facebook and Twitter for upcoming news on this year's event programme celebrating the creative industries in Northern Ireland all throughout March. For more features from previous years click here. Follow Glen Molloy Creative on Facebook to stay up to date with his work.